Photo of: East Coast of Ireland: Dublin: Balbriggan. 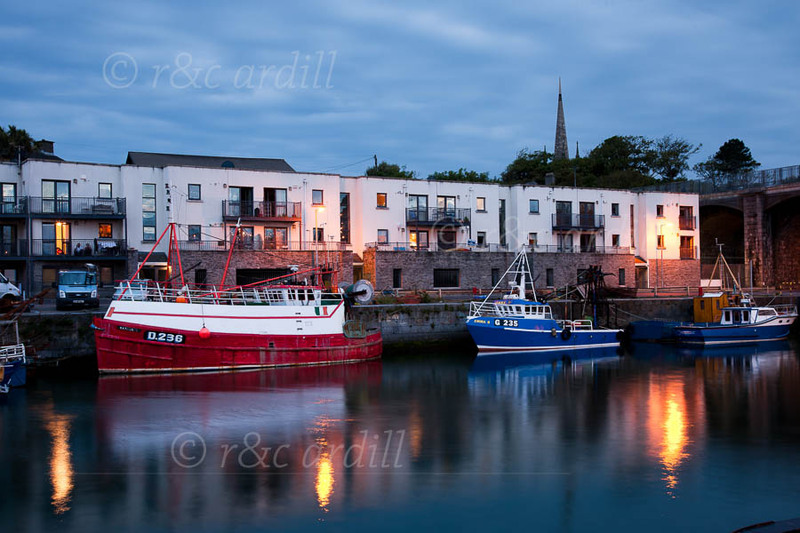 Boats at night in the small fishing harbour at Balbriggan on the north Dublin coast. The red-hulled boat is a cable-laying boat.